bottled water has a lot to answer for in terms of plastic waste, with americans alone throwing out around 35 billion plastic bottles per year. skipping rocks lab, the masterminds behind the ooho!, have long since been on a mission to change this. 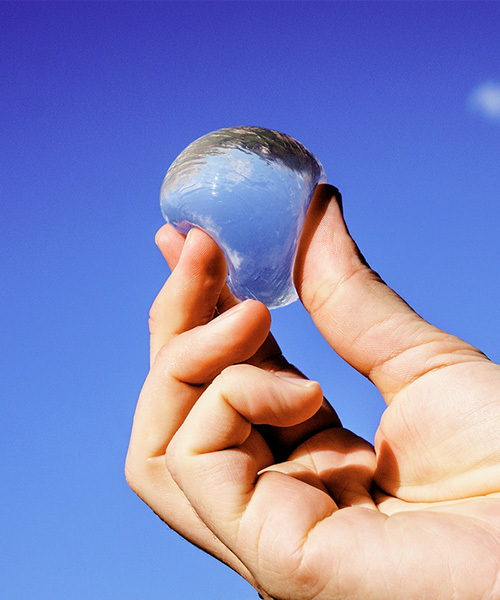 their edible water bottle prototype first made a splash in 2013, when designboom and LEXUS recieved it as an entry to the LEXUS DESIGN AWARD 2014 competition. now, the ooho! team are turning their invention into a reality, taking to crowdcube to fund the project and hitting their target of £400K within just a few days. 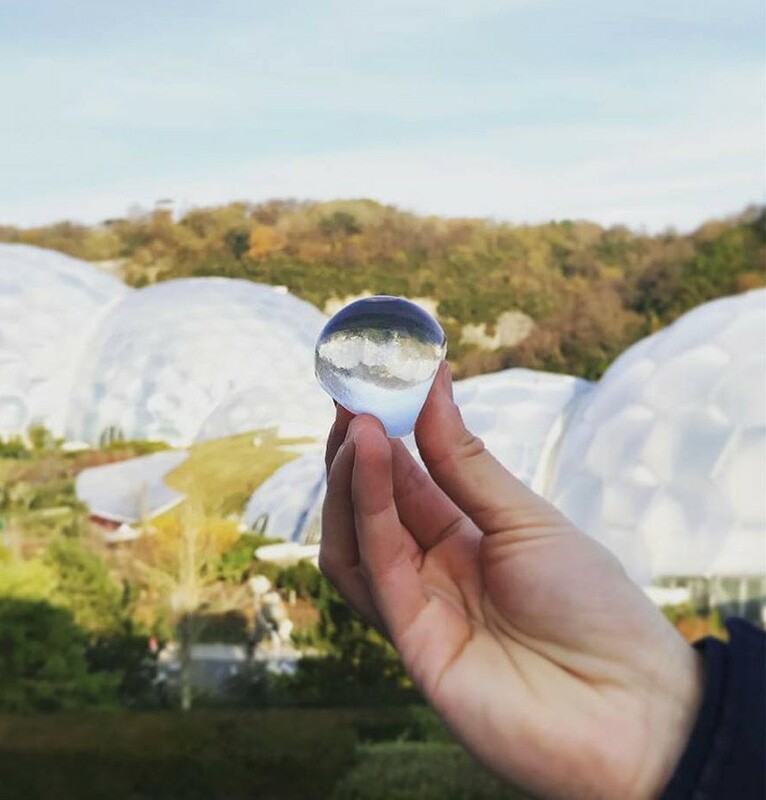 the london-based sustainable packaging start-up want to transfer from simply selling their water bubbles from pop-ups to challenging plastic waste on a global scale, piloting their water bubbles at major sporting events in 2018.
ooho! 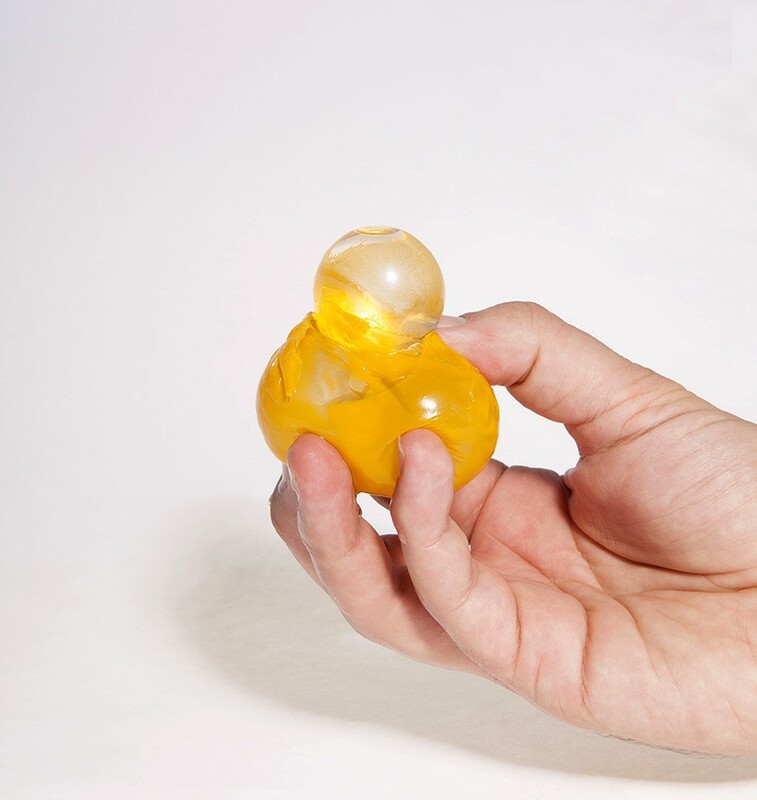 is a bubble designed by skipping rocks lab that encircles drinking water within an edible membrane made from from a natural seaweed extract. if you don’t feel like eating it, the flexible, bubble-like packaging biodegrades in just 4-6 weeks, the same time as a piece of fruit. the membrane can be flavored and colored, and can also be used for other liquids such as soft drinks, spirits and cosmetics. the team behind ooho! recognize that the consumption of non-renewable resources for single-use bottles and the amount of waste that they generate is profoundly unsustainable. 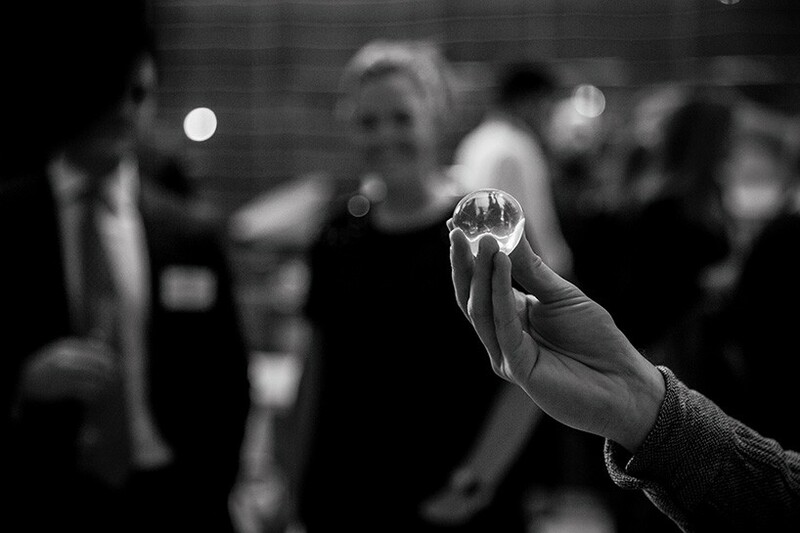 skipping rocks lab has been founded by RCA and imprerial college london masters graduates in innovation design engineering. since the launch of their company, the team have spent the past years perfecting the technology behind their design, and developing an innovative manufacturing process. now, ooho! bubbles can be produced for a lower cost than plastic bottles. skipping rocks lab intend to pilot ooho! at UK events, such as the london marathon, and glastonbury, the UK’s most famous festival. with a huge 750,000 bottles of water being handed out at the marathon alone, it’s easy to see what an impact the biodegradable bubble will have on plastic waste. the team at skipping rocks lab—made up of chemists, engineers, designers and business advisors–are continuing to pioneer the use of seaweed in other packaging uses, with a mission to become the leading global producer of seaweed-based packaging. How are these transported to the end user? Are these sold in a package? What is the package made from? How many bubbles are equivalent to one 500 ml plastic bottle of liquid? Is the production of one bubble lower cost than one bottle of water? Or are equivalent volumes of water lower cost in bubble(s) over a bottle? I find it amazing that it escapes the grasp of a website dedicated to design that capital letters are a design element that makes reading easier, and lowers the cognitive cost of processing information in written word format. This is an awesome invention not only because it will help reduce plastic bottle waste but it can be used for other things such as supplying astronauts with a new form of consuming nutrients while in space as the nutrients would be contained within the edible bottle elevating the need for trash removal of their food containers every time they eat. The food storage unit would come pre-packed with serving size portions of the same type of food that is currently eaten but it would be contained within its own edible bubble inside of the edible bottle. When the edible bubble is digested the first layer dissolves releasing the water and liquid nutrients. The inner bubble would then dissolve releasing the vitamin or food. 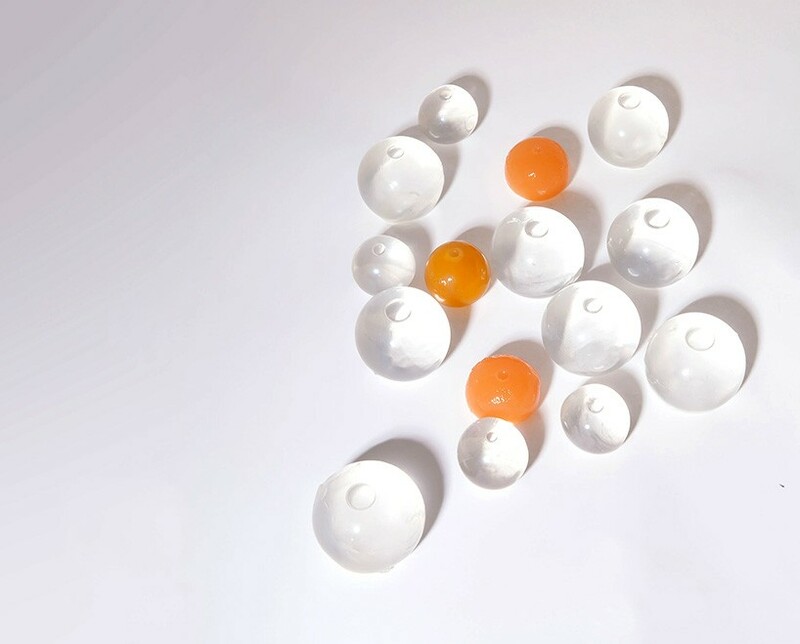 On Earth, smaller portion of the edible bottle could be used to encapsulate medication or vitamins that when taken the edible bottle would dissolve with the medication already having been taken. When will these be available in the USA? I have a trip this summer and would love to give them a try on my trip. keeping hydrated is always hard for me when driving. I hate the waste of plastic bottles. I would love to give them a try. How would they work with dogs? My trips are to dog shows. How many ounces does each bubble hold, or basically, how many of these would it take to replace a standard 16.9 ounce bottle of water? Where can I find ordering info, quantities and pricing. I live in Anchorage, Alaska and would like info about keeping in the arctic environment. Is your company available for stock purchase? If the bubble bio-degrades in 4-6 weeks, the shelf life seems minimal. By the time the product is produced, transported to stores, and sold to the consumer, the bubble seems like it would be near the end of its life. Although not a fan of plastic disposable water bottles, they do have a long shelf life. Is there a plan to address a longer time between production and it degrading? This is ridiculous, if the outside is coated with salmonella or any other contamination there is no way to avoid it. 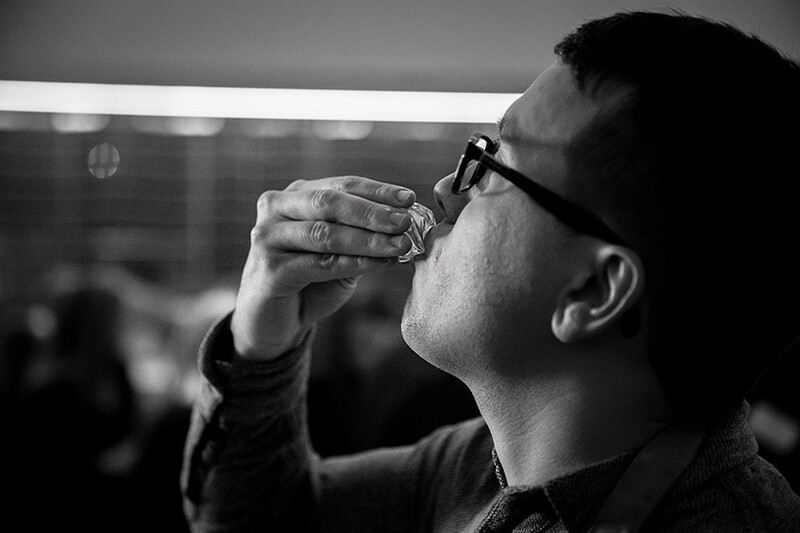 The whole point of a bottle is to have an aseptic opening. Hope they have insurance. am I the only person that sees this as a rubbish idea similar to coffee pods. they will be lying in streets everywhere while the degrade just like bottles and choking kids and the elderly and the drunk or stoned. just use a reusable water bottle, they do come in different shapes and sizes or you could use a glass, they have been around for years now! it’s an amazing product. i’m from Sri Lanka and plastic bottles have become a big problem in-terms of disposal. have you got any plans to introduce this product in Asia. How do I invest? Thank you for your wonderful product. I like the idea of using a seaweed extract as a form of packaging. However, I don’t see this as a viable barrier method of fluid transport. How do you prevent contamination? How do these hold up in extreme temps? (104 F+). In the end, you’ll have a plastic container that will be needed to haul all of these blobs around, which would just be a more inefficient use of the plastic in the first place. I’m sorry, but this misses the mark, and is just another great example of people falling for the zeitgeist purely out of form and not substance. Let me guess, you also sign up for a subscription service that sends you seaweed water balls every week? That’s also a big concept with viral product design…. @Marc Brazeau “I find it amazing that it escapes the grasp of a website dedicated to design that capital letters are a design element…. ” i find it amazing that your pretentious mind can’t process the information WITHOUT capital letters. i never even noticed they were absent and read it at the same speed as every other piece of text i’ve ever encountered. i think the problem is your ocd showing through. in a more relevant note, this is pretty ingenious! 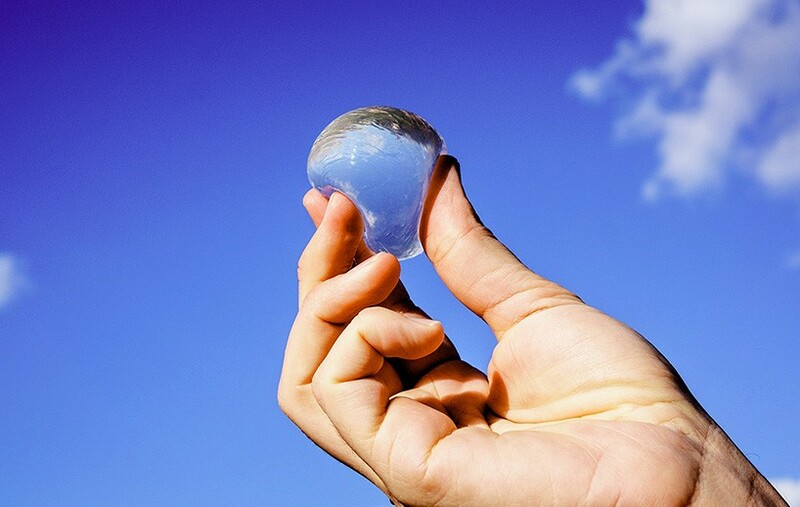 edible water spheres that won’t add to the globe that’s already inundated with plastic. How porous are the membranes? Will they absorb toxins from the environment around them? If these are going to be sold to the public, I assume so, they are going to have to be sold in a tamper proof package. Which kind of defeats the purpose.